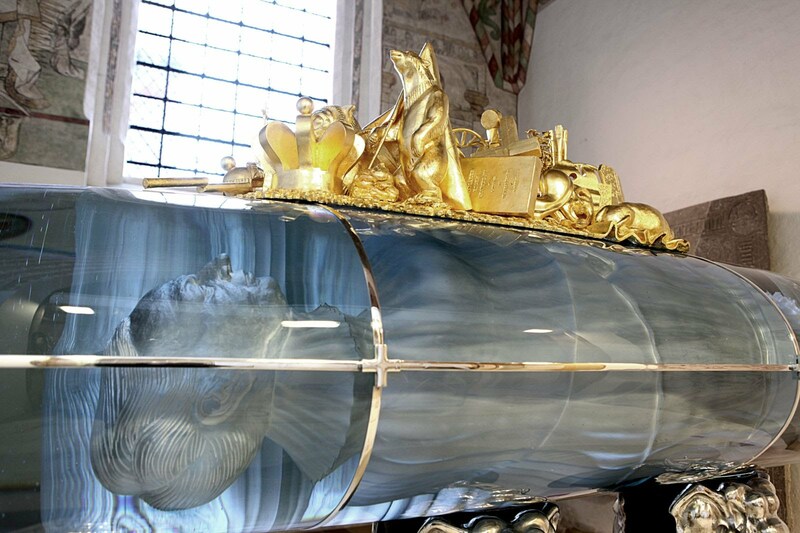 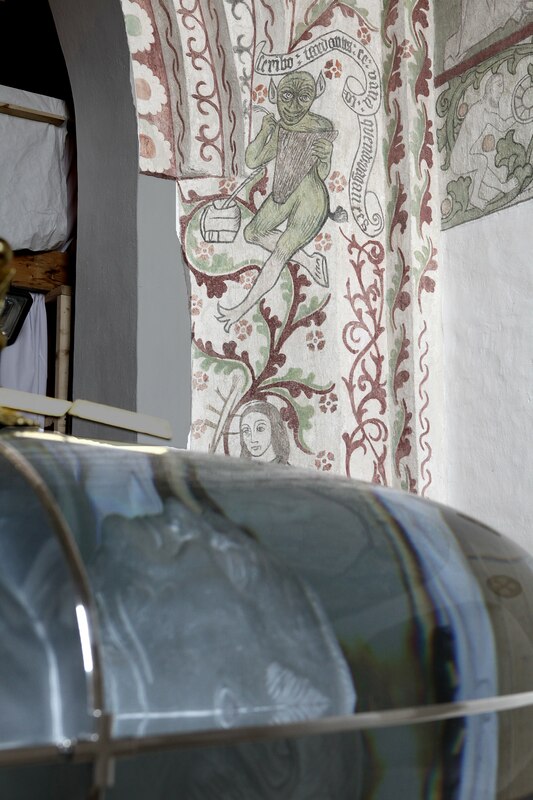 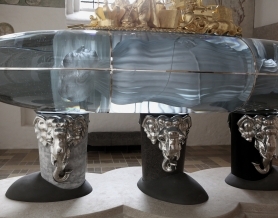 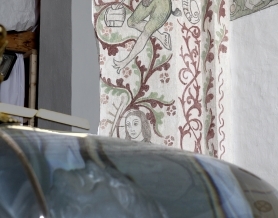 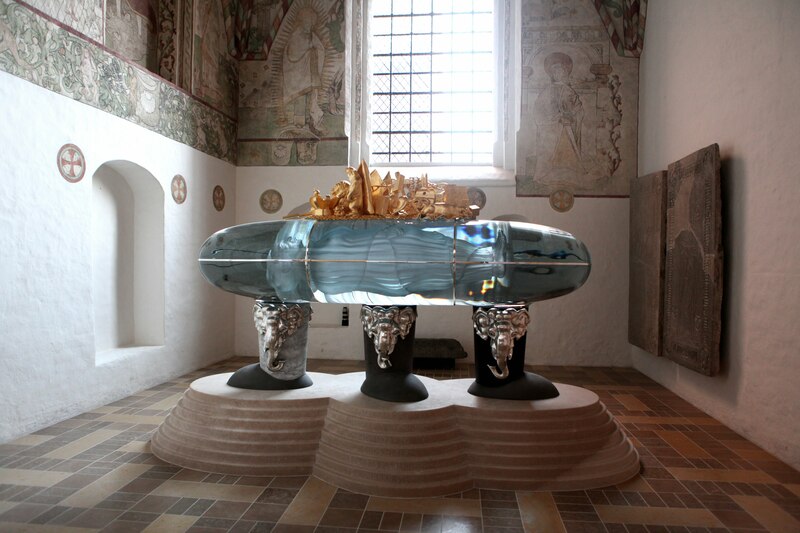 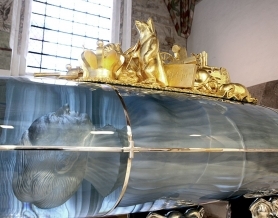 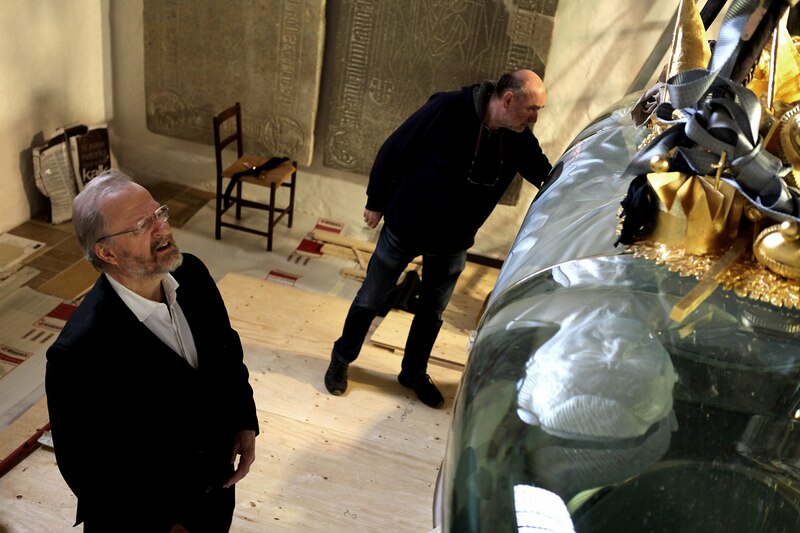 The Sarcophagus for Danish Royal Family. 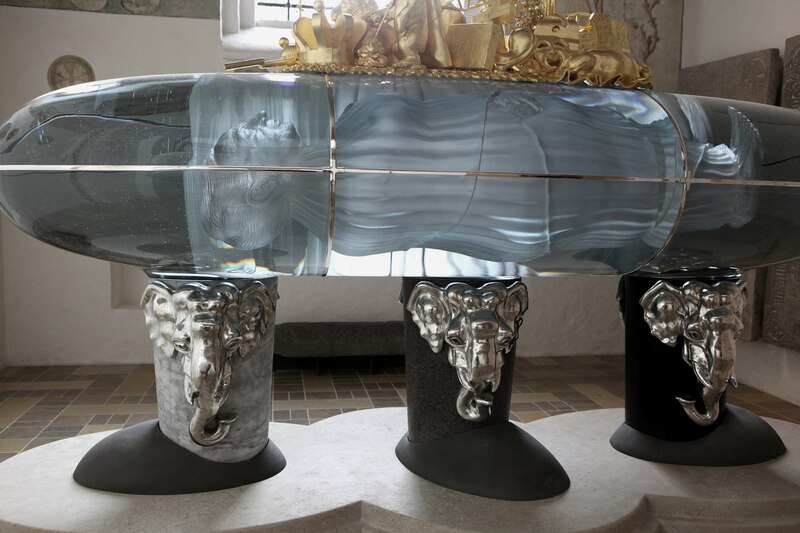 Artist Bjoern Norgaard, technology, manufacturing and production Zdenek Lhotsky and Studio Lhotsky. 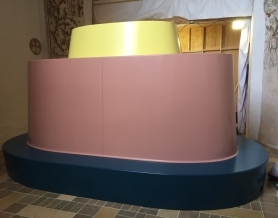 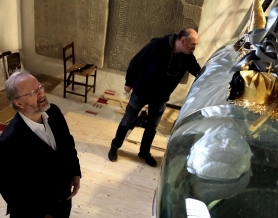 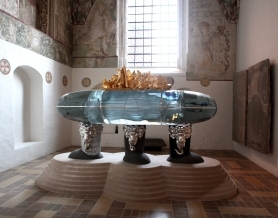 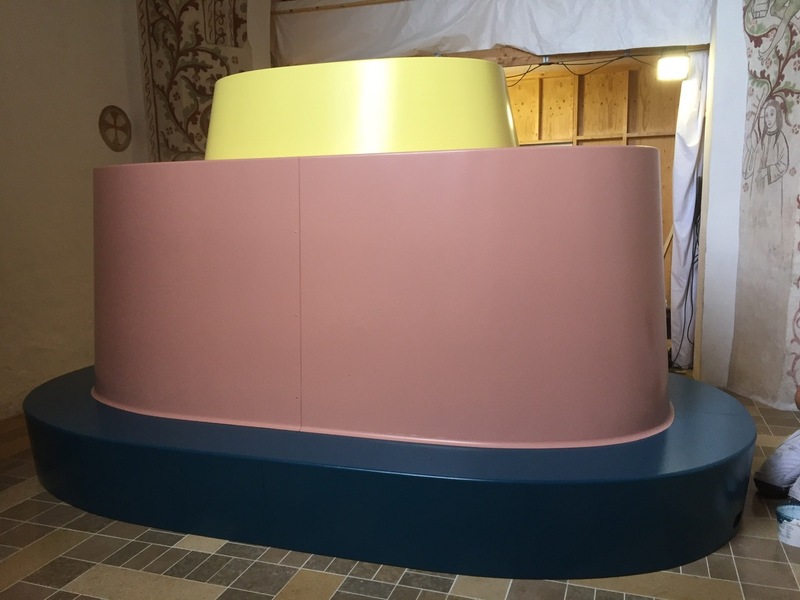 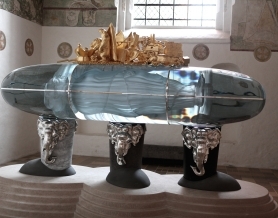 One of the world bigest kiln cast glass sculpture ever produced, with total weight over 4,5 tons, installed in Denmark in Roskilde Cathedral. 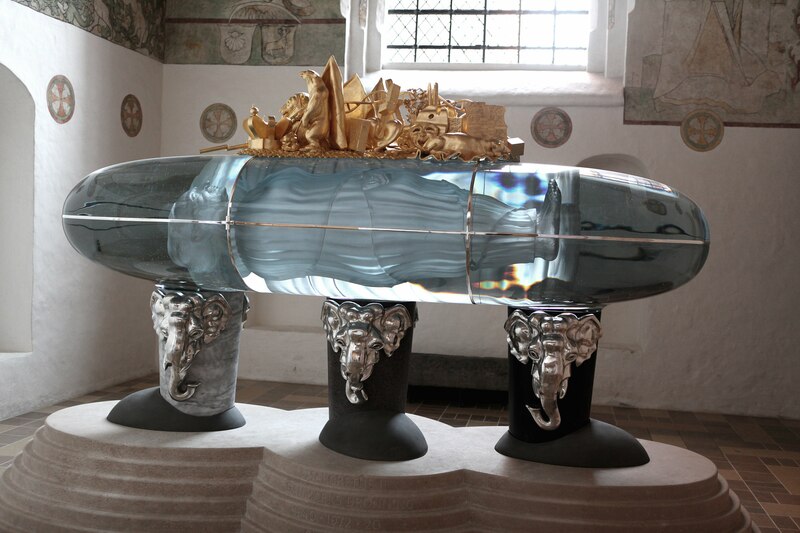 The sculpture is currently not accessible, as its a part of the future State funeral ceremony.